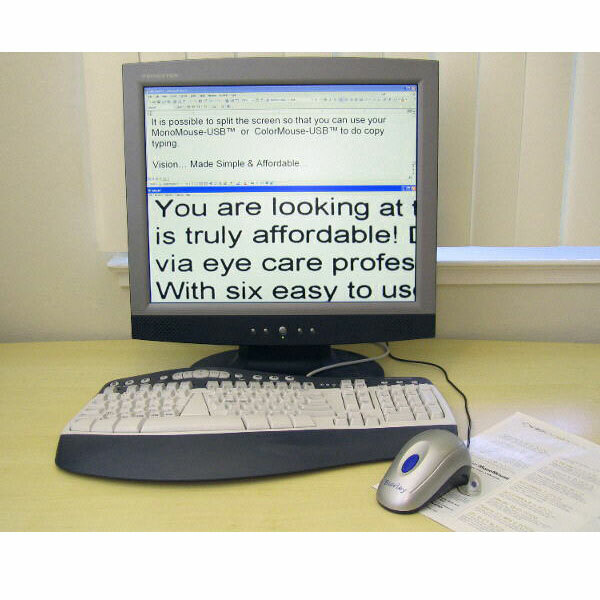 High quality, easy to use and affordable electronic video magnifier mouse for people with Low Vision and Macular Degeneration. The goal is simple: give back independence to people who have difficulty reading small print. With the aid of this ergonomic and easy to use product, people who suffer from vision loss can enjoy reading everything from the daily newspaper to the latest author, and can easily view everyday items -- from food labels to prescription bottles. Its compact size - only slightly larger than a standard computer mouse - makes it comfortable to handle. 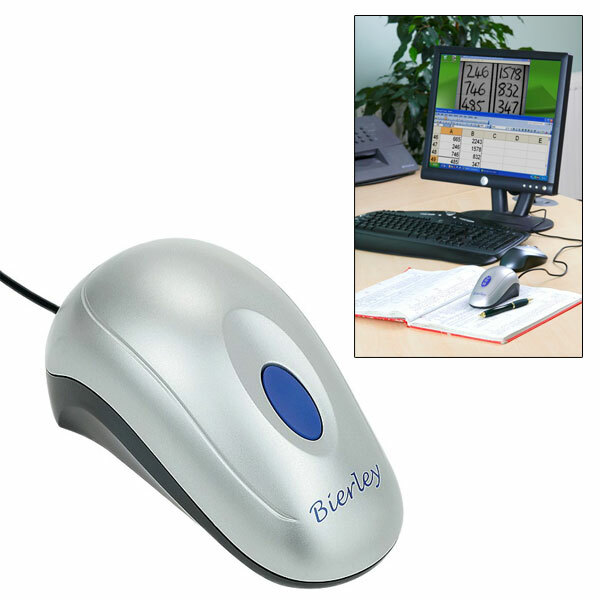 The MonoMouse-USB-MD offers MD Mode which provides pure white text on a black background for maximum contrast and reduced glare for anyone with acute sensitivity to light. This can be especially beneficial for anyone with Macular Degeneration. Other features include grayscale image, pure black text on a white background, variable magnification, full screen, image capture and image freeze.